Kitchens are a natural gathering point for your home. It’s where the best scents are produced, a warm place, where you come to produce and provide for yourself and for your family. At Zesta Kitchens, we know that any kitchen requires a mix of attributes. It must be well-appointed and stylish, but it cannot sacrifice durability or functionality for the sake of it. There are times to take your time in the kitchen, and there are times when you are simply famished, and want an efficient spot to cook. A kitchen must cater to both needs. If your Mentone kitchen isn’t able to provide these basic elements, it could well be time for a revival. Luckily, you have Zesta Kitchens to help you. Our premier kitchens come equipped to make your next cooking experience a pleasure. Our kitchens come in a variety of different styles, drawing from the diversity of domestic and international styling. We know the broad range of tastes that abound in a city as diverse as Melbourne, and we go to great lengths to draw the finest elements from all of them. We offer benchtops, smooth hideaway storage spaces, and an ergonomic, functional layout, offered in a huge range of colours and formats all at affordable prices. Additionally, we stand behind everything we sell with comprehensive 10 year guarantees, giving you peace-of-mind at every step. No house is a home without a kitchen. That said, it’s important that we don’t overlook why kitchens are important and consider those factors when planning a Mentone kitchen design. For many families, breakfast, lunch and dinner are the only times when they come together to share news, tell stories, and enjoy one another’s company. Having a well-designed kitchen means being able to optimise that time and being able to make each meal truly special. The kitchen is often referred to as the “crown jewel” of the home because of its central location and its importance. Residents spend a lot of time in the kitchen, which is another reason why this room deserves more attention than the living room, the bathroom, the bedroom, and other rooms in the home. Your kitchen serves as the foundation to the inside of your home. Because it’s centrally located, other rooms in the home are often built around it. Having a beautiful kitchen means more people will feel comfortable gathering in there. New appliances will work more efficiently that old ones. Cooking and preparing meals will be safer and more satisfying. 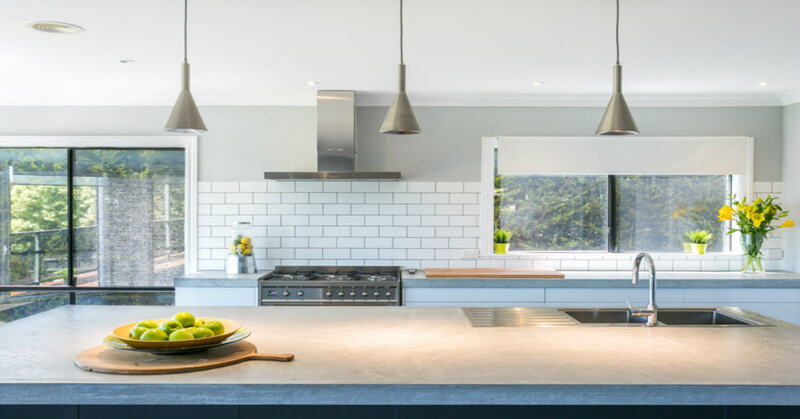 Put simply, having a well put together Mentone kitchen design means being able to spend more time making lasting memories with friends and family. At Zesta Kitchens, we’re proud to offer a wide range of kitchen designs perfect for almost every kitchen here in the Melbourne area at affordable prices. Choose a classic design. Our Hampton kitchen design is luxurious and traditional, while our Kensington design is an on-trend Shaker-style kitchen you’re sure to love. Get modern. Go completely Handleless for a sleek, streamlined look, build a sleek space with a Mondo kitchen, or create a statement room with our slick Qualia kitchen design. Keep it simple. Linea is clean and contemporary, while the simplicity of our Epicure Mentone kitchen design is a good match for almost any Melbourne home. At Zesta Kitchens, providing sophisticated kitchens to Mentone and all of Melbourne is our passion, and we do it very well. To find out for yourself, contact us today! Pick up the phone and call our professional team. We can answer your questions and provide all the information you need to choose wisely. The staff at Zesta Kitchens have been providing the very best in new kitchens and renovations, which means we can offer expert advice and insight. You can use our online contact form and we will get back to you as soon as we can. Or give our Cheltenham showroom a call today on (03) 9584 4491 and book a free in-home consultation! Mentone lies on the eastern coast of Port Phillips Bay. Named for its counterpart Menton, in the French Riviera, Mentone is known for its wide, tree-lined streets, and the distinct and classic yacht club on the shores of Port Phillips Bay, protected by the sunken hull of a WWII submarine.